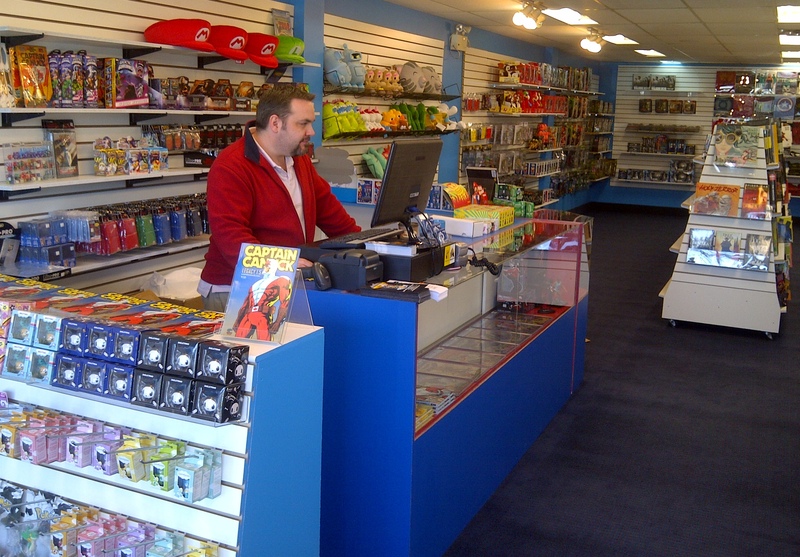 The new Niagara Falls Big B Comics had a soft opening on April 16th but there will be an advertised grand opening on May 5th – Free Comic Book Day. Some key fixtures were not in place when the photos (above and below) were taken – but they say that the full and proper fixtures as well as product should all be in place by FCBD. 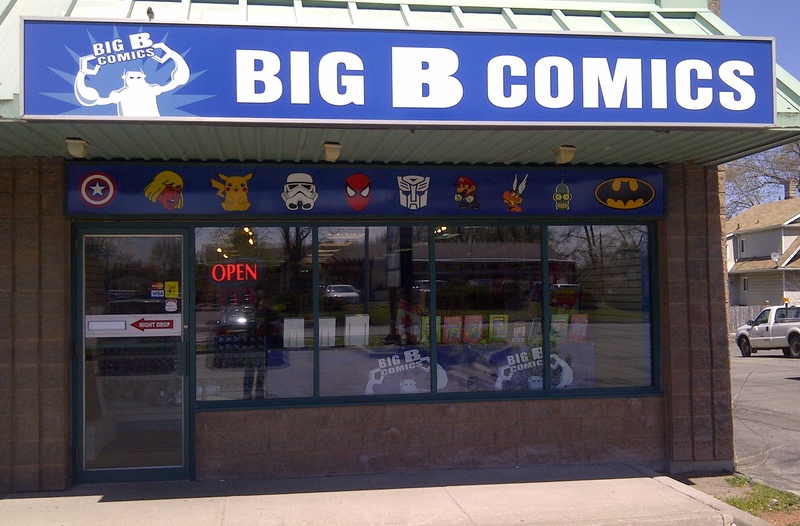 Big B Comics’ Hamilton location won the Harry Kremer Outstanding Canadian Comics Retailer Award in 2007.